BioShock fans might be interested to know that details have been revealed this week about the commentary videos that are included in the new BioShock: The Collection bundle which will be available to purchase from September 13th 2016 onwards. BioShock: The Collection takes you back to Rapture and Columbia in 1080p. 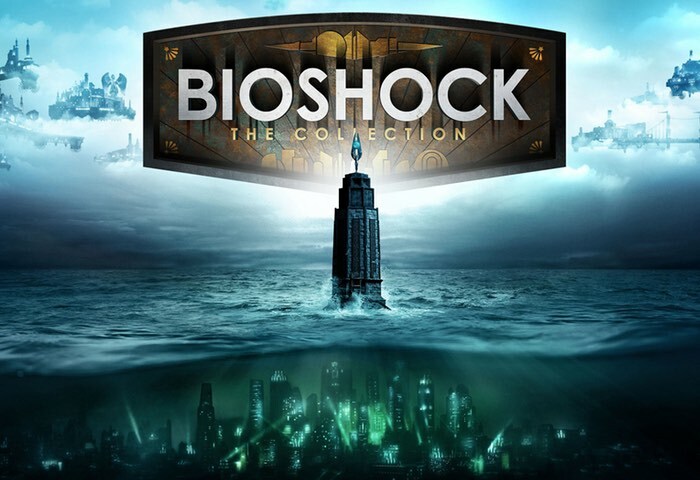 The Collection includes all single-player content from BioShock, BioShock 2, and BioShock Infinite, all single-player add-on content, the “Columbia’s Finest” pack, and Director’s Commentary: Imagining BioShock, featuring Ken Levine and Shawn Robertson. Here’s how it works: You’ll make your way through Rapture in the remastered version of the first BioShock game, hunting for Golden Reels. As you find them, you’ll unlock episodes of this never-before-seen video series. You’ll sit down for some insightful conversations with BioShock Creative Director Ken Levine and Lead Animator Shawn Robertson. One clip, for example, sheds light on how the focus groups for BioShock affected some of its development before the game came out. Coming with BioShock: The Collection, Imagining BioShock takes you through the inspiration and creation of Rapture and its inhabitants. Play through the remastered version of BioShock to pick up golden reels and unlock the secrets behind Rapture. All three BioShock games, complete with all single-player DLC, are fully remastered for current-gen consoles in BioShock: The Collection.